Duration: A number of rounds determined by attendance, each round up to 50 minutes. Wizards has boosted the prize pool a bit and extended it downward to top 32. Man - I won't be able to make these until hockey season is over, but that's a nice list. AND the prices of most of the P9 have gone UP since the announcement (though only a couple points ) it's only getting better. What's the max players in this? 256? The payout on this is much nicer (and more sensible) than last time around. It's still super heavy on first place but the other top spots aren't bad. To me, it's especially nice that it's a lot easier to break even. I do find it amusing that the cards they're giving out kinda shows some of the problems with MTGO pricing. The Wasteland is the second most valuable card they're giving out. First place gets a Timetwister; the single least valuable thing they're giving out. I think the prize pool still has room for improvement, but if this event causes power to go up in price over time, then it will even out in the end/. Who is playing in this? Sadly I'll be out of town for Thanksgiving. I wish they would have tried harder to avoid holidays with these events in the next two months. Best of luck to everyone competing! If nothing goes wrong, I'll play it. The prize improvement is incredible. The 10 PP = 1 tix = 1 USD assumption is very, very weak. For example, pretend there's an event that costs 100 PP to enter, has 8 players, and pays out 400 PP and 5 boosters for 1st place. Assuming a 50% winrate (which is tautologically the case from WotC's perspective; except for bye rounds) you get an expected payout of 50 PP and 5/8 boosters per player. Given that, each 10 PP used to enter the event is worth 1/8 booster packs. 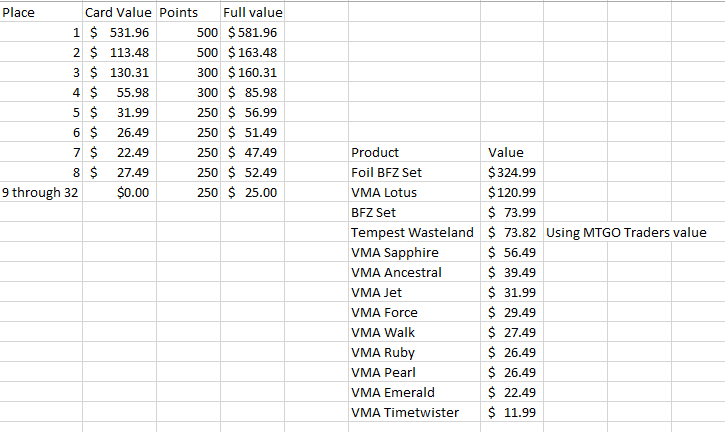 The winner's 400 PP are then actually worth around 5 booster packs, which is only $20 or less in value, rather than $40. If the event is great value, then PP are actually better than a straight dollar prize, but typically they are going to be worth less than 1/10 tix each. Since we don't know how many players will show up, we can't simply plug PP back into the same event. If we use Vintage Dailies instead (let's face it, this is where most of us are going to use any PP we win) we get a rate of 10 PP = 0.2143 Boosters = 0.8358 Tix. Those $25 prize payouts are actually worth more like $20.89, but on the flip side the entry cost (for PP entries) is more like $20.89 and less like $25. As to the event itself, this is a huge upgrade over what they offered last month. Hopefully the prize support helps grow Vintage online and each month can keep building on the energy and excitement of the last one. Agreed. I have over 1,000 Play Points sitting useless in my account, and I certainly cannot use them as well as I could use 100 TIX. I will be too but given my history with Magic Online, I won't know what I'm playing until I draw my opening hand. (All decks with Vedalken Aethermage will be deleted before signing up, I can guarantee that). Good improvement prize wise. 3th and 4th seems solid. Previously, I was relieved I never had to worry about MTGO anything because I knew preemptively that I would never join if infinite loops remained impossible. 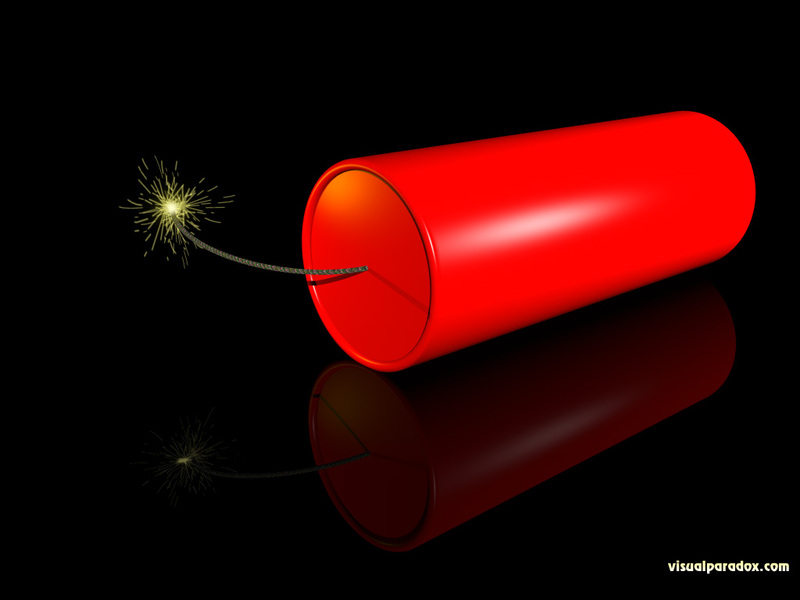 The work Rich and Stephen have done to foment these positive changes is making the program appealing now. I find myself hoping they fix the Auriok defect and then I may be excited to join. Great work, Rich and Stephen. I hadn't seen anyone answer this - from TFA, the max is 512. Although one person is already signed up. EDIT: 10:30 and we already have 43 players! final count is 93 players. another huge success. Frankly speaking I expected more players this time. We'll see next time, maybe its due to Thanksgiving. Players qualified are already in the Top8. I guess this player's decklists will be posted in WotC's site. 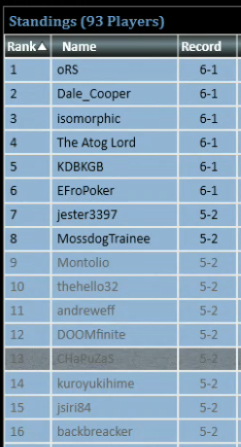 I missed the chance of repeating Top8 for the tiebreakers... But Rich Shay did it! On a side note, considering that the prizes were upgraded, and the success of the last month, I also expected more than 100 players, maybe getting to 150, but almost a hundred of them is also a nice quantity. the timing - at the end of the month - will surely hurt for this and next month - but I think we'll have a nice uptick in January, if they keep this thing going, as i hope they do. I owe apologise to BrassMan for my poor play on game 2 with him. It was around midnight here and my baby woked up as we started 2nd game. I was just running from living room to bedroom and pretty much blindly clicking on client. Murphy's law, he felt to sleep on game 3 when I mulled to oblivion. At least I finished as 32nd. I started well, then lost a narrow one to Dale Cooper's very nice Merfolk build, then got tired and fell apart.. still: had a good time and was really glad to see this hit roughly a hundred players again. I figured everyone in the US would be too busy with holidays and family, so I think it's a very respectable showing. Let's keep it up! As I was saying to Brassman on Twitter, we really have the chance with this event to make it the biggest, regularly held Vintage tournament worldwide - and that would do wonders for the format. Congrats to Efro and the rest of the Top 8. Look forward to seeing all the lists - and the VSLers in action very soon. Have good weekends, one and all. I spent a couple hours lasr night combing through the results on MTGO, and have a complete metagame breakdown of all 93 decks I'll publish on Eternal Central in the next week or so. FYI. That's great, Steve. Are you able to get both archetypes and matchup results? If so that could be a great font of information. 17 Dark Rituals in top 16. Only 8 Workshops. Very interesting. I think that says that workshops are still good but Ritual is no longer [almost] completely shut out.